Japan’s famous cherry blossoms begin to bloom all over the city of Kyoto in April, bringing spring color to festivals and events. Spring makes itself known in Kyoto as the cherry trees bloom, turning the landscape pink and white. 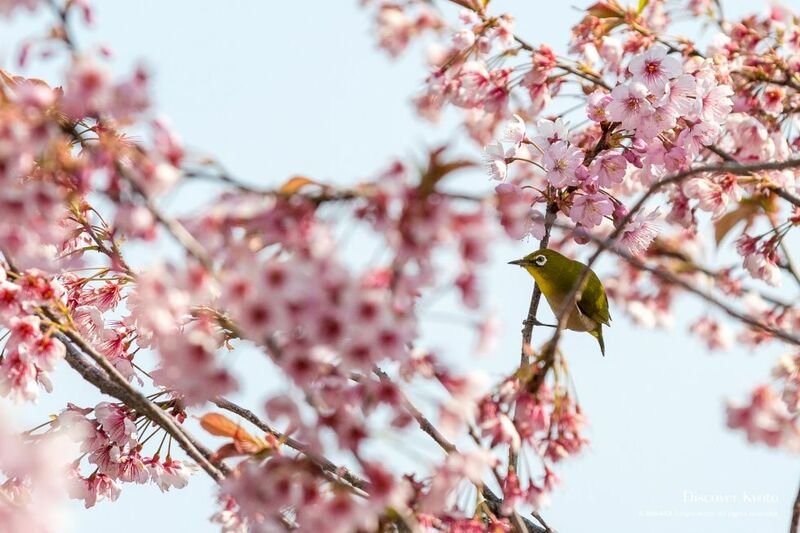 Cherry blossom viewing parties are all the rage as the flowers reach their peak and visitors flock to shrines, temples, and parks to enjoy the fleeting natural beauty. 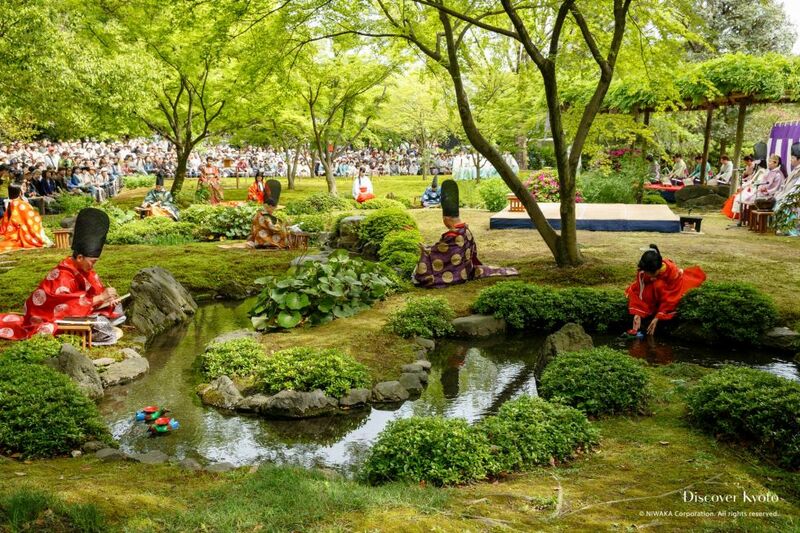 Festivals and artistic events celebrating the sakura abound, and even leisurely strolls become gorgeous adventures. 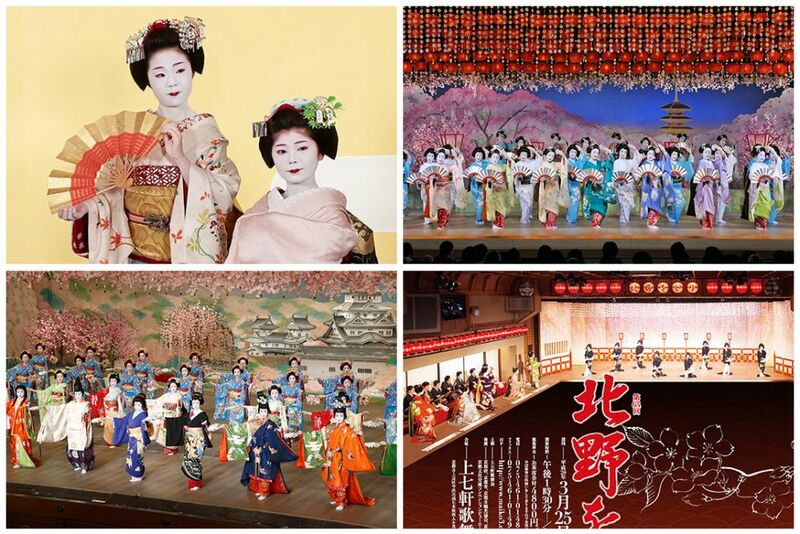 The geiko and maiko districts of Kyoto perform large-scale dances for the public once a year, with four of them held in the spring season. A sakura festival has occurred at Hirano Shrine every single year since 985, over a thousand years ago. 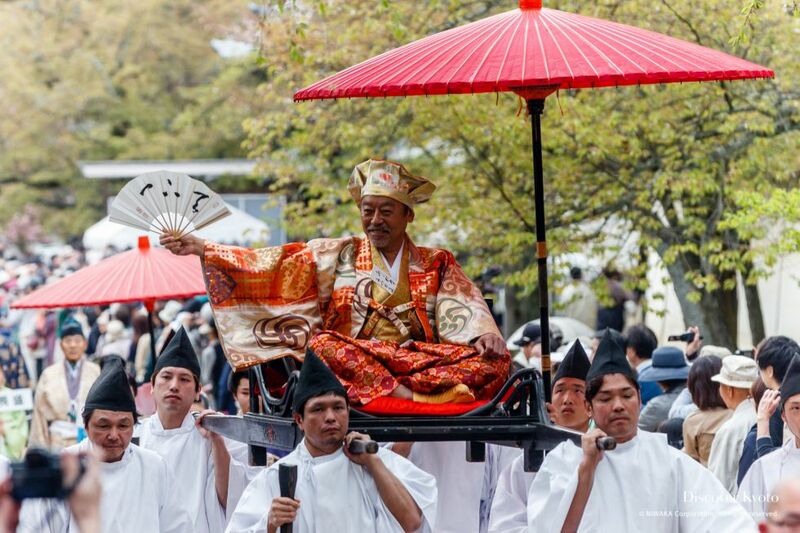 This makes it the oldest festival in Kyoto that can claim to have continued unbroken for that long. 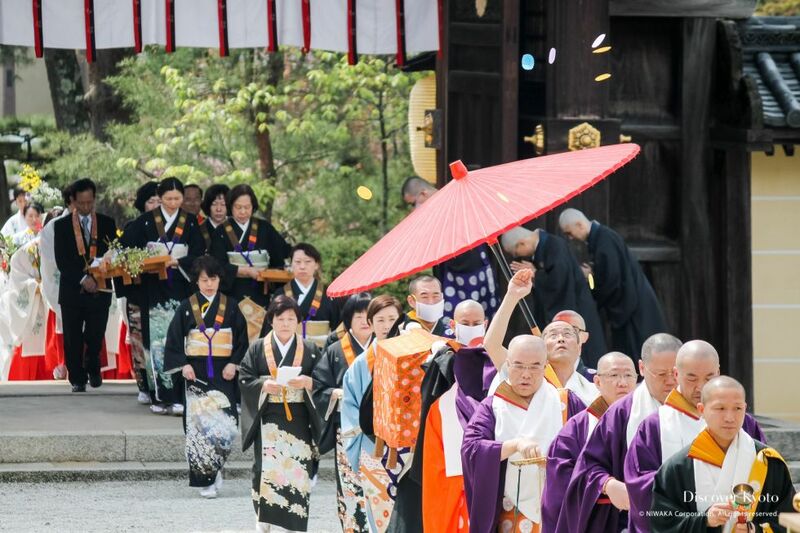 Kadō Matsuri can be enjoyed at Daikaku-ji Temple in Saga-Arashiyama for a few days in mid-April, with the ceremony primarily based around a flower offering performed by the Saga Goryū School of Flower Arrangement. If you're in Kyoto in April, be sure to take yourself to Daigo-ji in order to view the cherry blossoms and watch this glimpse into the past walk on by! 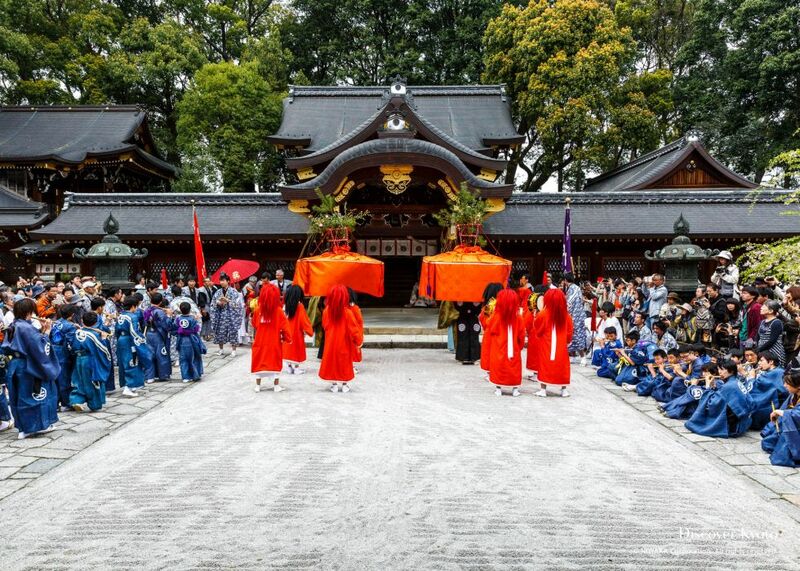 The Yasurai Festival at Imamiya Shrine is held each year in the middle of April in order to pray for good health and the prevention of illness. 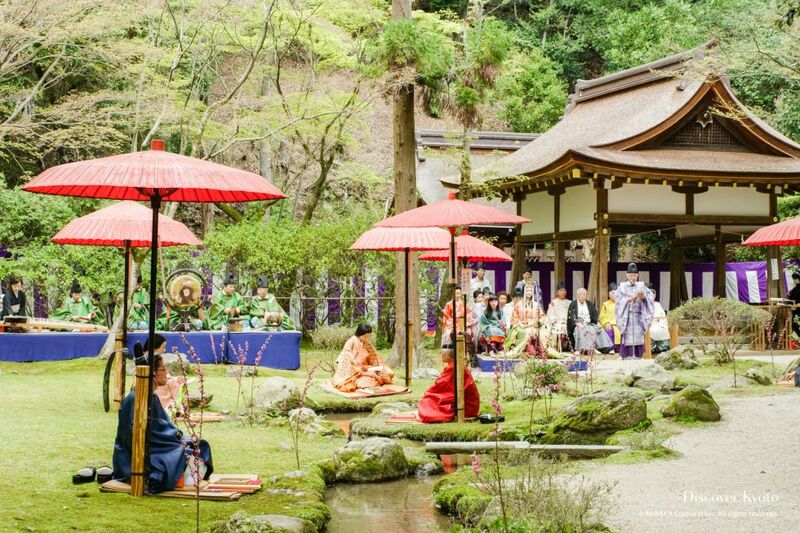 Observe the Kamo Kyokusui no En and evoke the image of lavish poetry parties held by nobility and cultured composers during the Heian period. 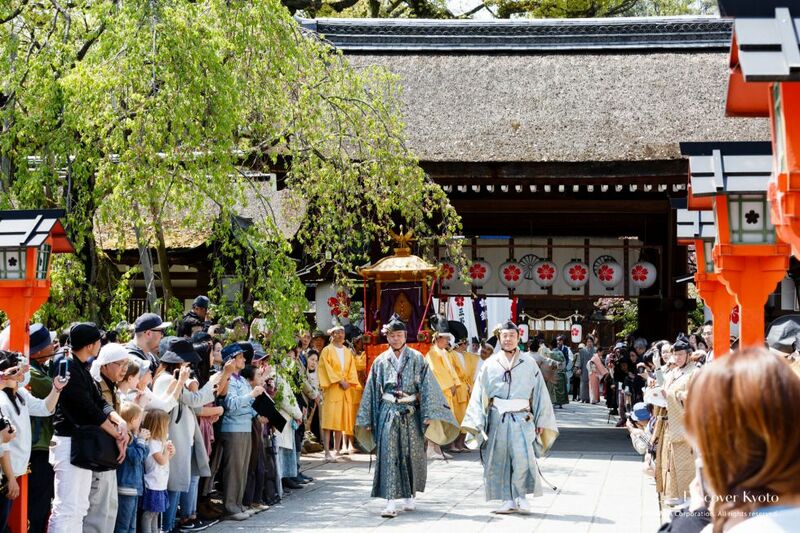 Kyokusui no Utage, an elegant form of leisure entertainment enjoyed by nobles in ancient Japan, is reenacted at Jōnangū Shrine in southern Kyoto twice a year in spring and autumn. Kyoto is known for the beauty of its cherry blossoms, and come April the sakura flowers all over the ancient capital offer a myriad of beautiful sights... But where should you go?